Children's television producer Angela Santomero shares the inspirations behind her hit shows and talks about how parents can use television in smart and healthy ways. As a preschooler, Angela Santomero was children's television pioneer Fred Rogers' biggest fan. 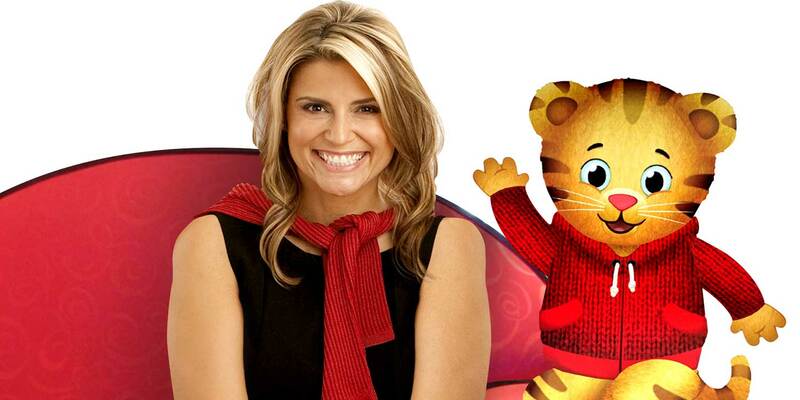 As an adult, she is carrying on his legacy by creating engaging, entertaining, educational programming, such as Blue's Clues and Rogers-inspired Daniel Tiger's Neighborhood. To Santomero (left, with Daniel Tiger), this marriage of education, child development, and media is the perfect way to promote social-emotional and cognitive learning to the largest audience possible. As a producer and a mother, Santomero is well aware of the concerns around screen time, and in her new book, Preschool Clues: Raising Smart, Inspired, and Engaged Kids in a Screen-Filled World, she meets those concerns head on. The problem is not the screen, she says, but the type of programming children may consume. "Not all content is created equal," she says, so parents need to be involved viewers. They need to evaluate the programs their children are watching and learn how to distiguish the good content from the not-so-good. One quality to look out for, says Santomero, is whether the show encourages children to be involved in their own learning with questions and pauses for their answers. “When content is created with the intent to teach, and with the intent to empower kids, then we can move the needle,” she says. In this edition of the Harvard EdCast, Santomero shares the inspirations behind her hit shows and talks about how parents can use television in smart and healthy ways.